Where does all the time go? When it comes to the time you spend on your phone, your computer, and the web, this doesn't have to be a vague and rhetorical question - plenty of tools out there will track and monitor your time automatically, telling you exactly which apps and sites are sucking up most of your precious minutes of existence. 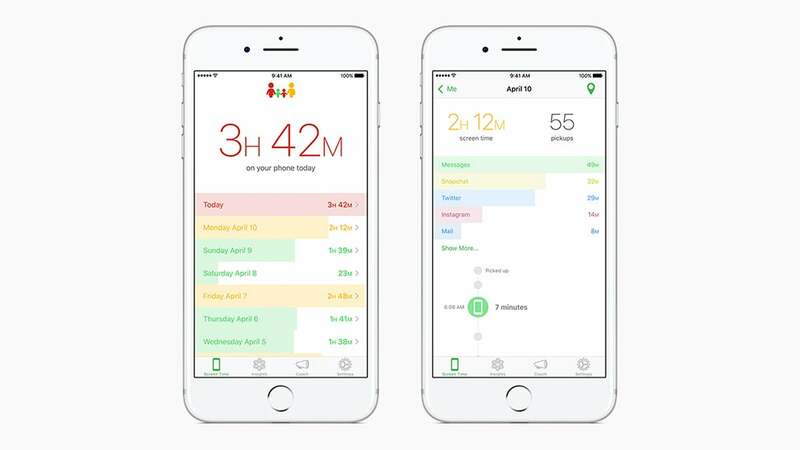 What we're looking at here are tools that are slightly different from the broader, more comprehensive time tracking tools like Toggl or Hours that let you know where all of your time is being spent. If you really want to dig into how you spend your days, those more detailed apps are worth a look. What we're focusing on is how you spend your time on your devices. The one major caveat is that most of these apps require you to give that usage data over to the app maker. So check and double check the terms of service for the application you're interested in to make certain you're not giving over more data than you might be comfortable with. 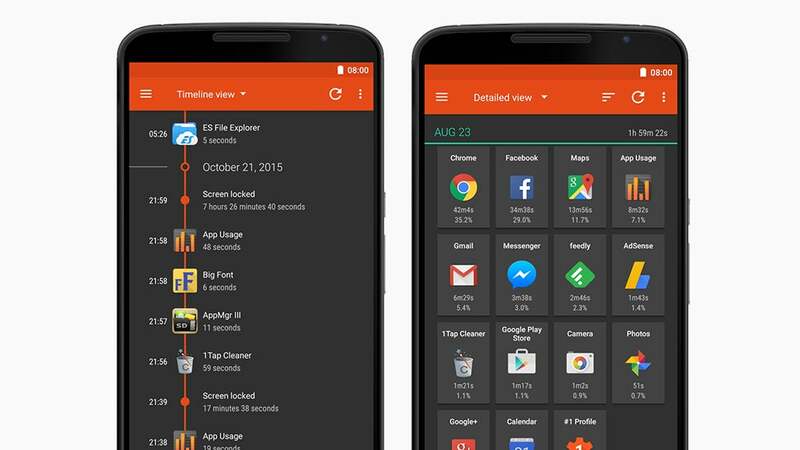 Quality Time is one of the most well-established time trackers for Android, and it's easy to see why it's broken 1 million downloads - everything's clear and cleanly laid out, showing exactly what you need to know about what you're doing with your device. It can show total usage as well as individual app usage, plus the frequency with which you launch each app. The app comes with a bunch of other features too, like a daily usage alert warning so you get a pop-up when you've been on Instagram (or anything else) for too long, and the option to set scheduled, forced breaks from your phone, with muted notifications. You can also set up custom profiles, like Family Time or Office Time, when certain apps are banned. 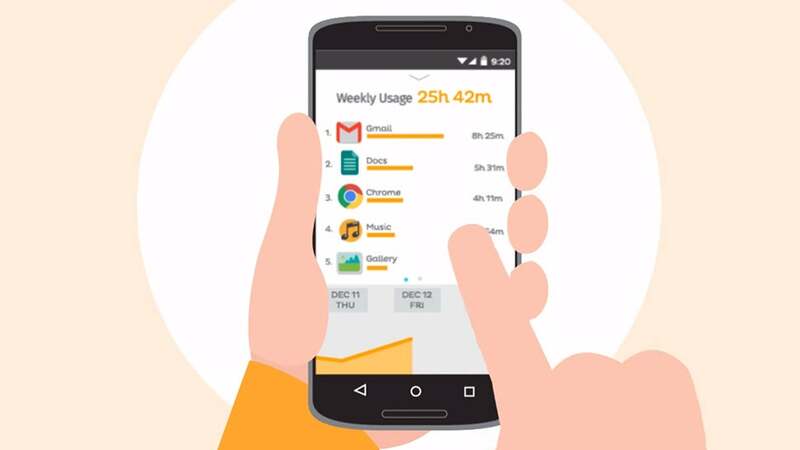 App Usage is very similar to Quality Time in the features that it offers, letting you dig into your app and phone usage in all kinds of ways, whether you want to see everything you've done today or just your most used app for the month. You have the option of keeping a counter on screen at all times, in a little bubble that expands out to show the app's key features. You don't get quite as many ways to actually manage or control your app usage here as you do with Quality Time, but you can set up reminders to ring whenever you're spending too much time with your apps without a break. 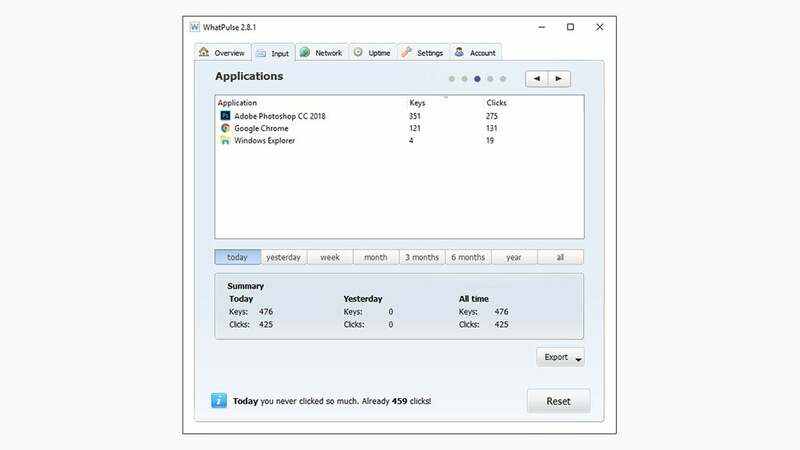 App Usage is also able to keep tabs on other apps you've installed and uninstalled, making it easier to bring deleted apps back again. iOS doesn't let apps get their hooks deep enough into the operating system to record which apps you're using when, but Moment tries to get around this restriction by asking you to take screenshots of the iOS battery usage screen (tap Battery from Settings to see it). It's not fully automatic or fully accurate, but it's the best you're going to get on iOS for now. 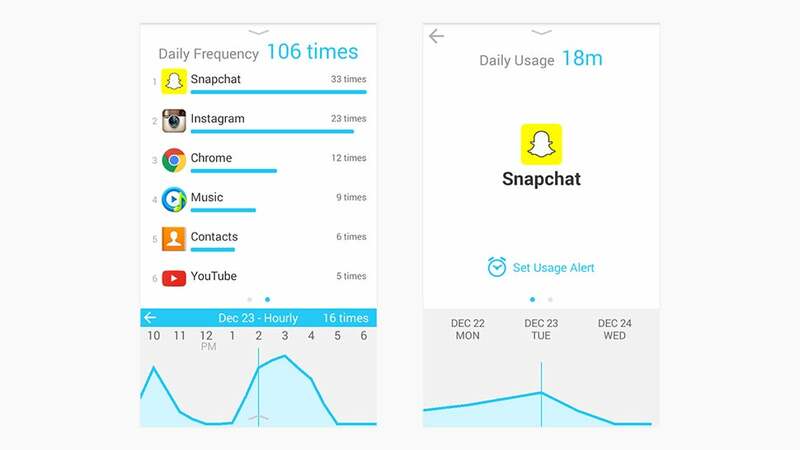 Moment can also track your overall phone usage over time, as well as keep tabs on your family and their devices if you want to enable the parental control aspects of the app (which costs extra). There's also a Phone Coach element you can activate to try and wean you off too much smartphone use, though some level of willpower is required. 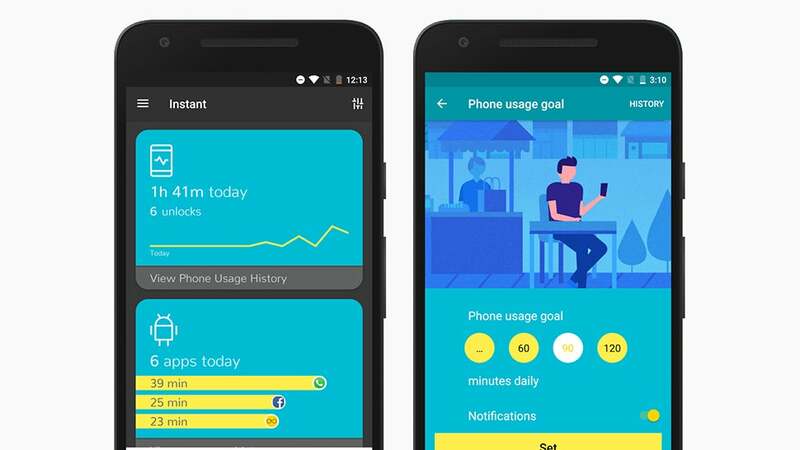 If you want something to track your phone and app use across both Android and iOS devices, then Instant is the best option we've found — with the caveat we mentioned above, that iOS apps can only really track total phone time use, rather than looking at your time in individual apps. It also requires a premium subscription, costing $US2 per month. You get much more besides app and phone tracking though: Instant shows you every bit of data your phone can gather, including how much you've been sleeping, the places you've been visiting, how many steps you're taking. All of this can be linked to reports and goals you can set yourself if you want to be spending less time on your mobile. 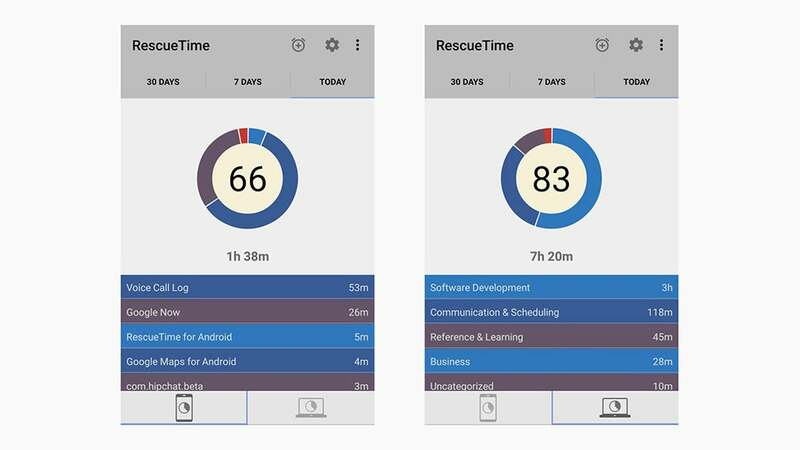 RescueTime has been diligently plotting the habits of its users since long before the practice became fashionable, and for Android and the web it remains one of the best options for seeing which apps and sites you're addicted to — all in a very clear, easy-to-read, non-judgmental set of reports, broken down by app and site category. You can teach RescueTime which apps and sites are actually helping you be productive and which are just wasting your time (or let the service have an educated guess instead). This gives you a little more insight than just a long list of apps you've opened and when. For usage alerts and more detailed reports, a premium account costs $US9 per month. Tools that track application use across the desktop aren't particularly widespread, at least not if you're running a team of users, but WhatPulse does a respectable job: You need to be very trusting in the data you give the developer, but in return you get a breakdown of most active apps, most hit keys, even where on the screen you spend most of your time clicking. If you pay for the premium option ($US1.50 a month) you can get some gorgeous-looking charts of your activity, otherwise you get simple tables to pour over. The program also tells you which applications are using up most of your bandwidth - maybe without your knowledge - though what you don't get is a site-by-site breakdown of your browsing. 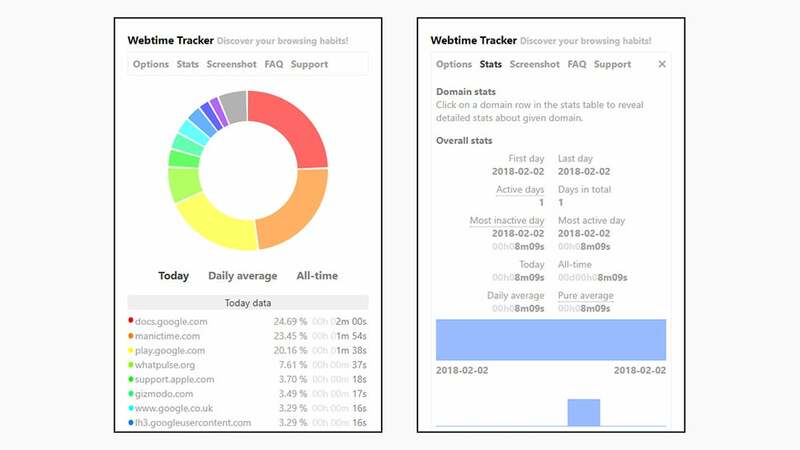 Find out exactly where your online time is going - in Chrome at least - with this add-on, which chops your daily browsing up into smart-looking charts and reports. You can see how your usage varies over the week or the month, get daily averages for sites you visit the most, see stats across the whole time the extension has been installed, and more. It's smart too, and will stop tracking if it detects no activity for a certain amount of time (a delay which you can set yourself). Meanwhile the developer promises all the collected data is kept locally and never sent anywhere else. There's no exact equivalent for Firefox, but Mind the Time is a less feature-rich though still very handy tracking extension you can try.